Brushing your child’s teeth can remove food, but it cannot get rid of all of the food stuck between the teeth. This is why you should floss your child’s teeth. Flossing removes food particles from between teeth and can help prevent cavities and gum disease. Even young children can develop tooth decay and gum disease, which is why it is important to floss between their teeth. Cavities and gum disease can cause pain and can lead to other problems, even in children. Baby teeth are important because they hold spaces for permanent teeth and help a child chew and speak properly. This is why you should take care of your child’s baby teeth, even though they will fall out eventually. You should begin flossing your child’s teeth as soon as two touch each other. This could be around the age of 2 or later, depending on when your child gets his or her baby teeth. A young child does not have the coordination to floss, so you will need to do it for him or her. Your child may not like it at first, but flossing is necessary. Introduce it at a young age and be consistent. Even If you cannot do the job as well as you would like because your child squirms, at least he or she can get used to it. Children are usually able to begin to floss on their own around the age of 10. Use floss that is soft and flexible to avoid hurting your child’s teeth and gums. Use an 18-inch piece of floss and wind it around your middle fingers on both hands. You can tie the floss into small circles that fit around your fingers to make it easy to hold. 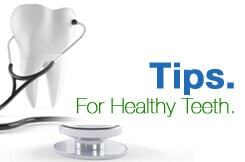 Gently slide the floss between your child’s teeth with your thumb and index fingers, holding it taut. Do not snap it down on your child’s gums because that can cause pain. Curve the floss into a “C” shape and gently move it up and down and under the gum line. Use a new section of floss for each tooth. If this is too difficult, you can also use floss picks. These are small devices with floss attached to a handle that make them easier to get in between teeth. You do not need to be concerned if your child’s gums bleed at first. This is common and should stop after a few days as your child’s gums become healthier. If the problem continues, talk to your pediatric dentist. Brushing and flossing can prevent many cavities and reduce the risk of gum disease, but your child still needs to visit a dentist for exams and cleanings. Children should see a dentist for a first visit by their first birthday. If your child is due for an exam and cleaning, make an appointment with CT Pediatric Dentistry today.